Government will next month gazette the final draft of incentives that would be offered under the country's Special Economic Zones. The incentives will be critical in attracting potential investors into the country's SEZ. 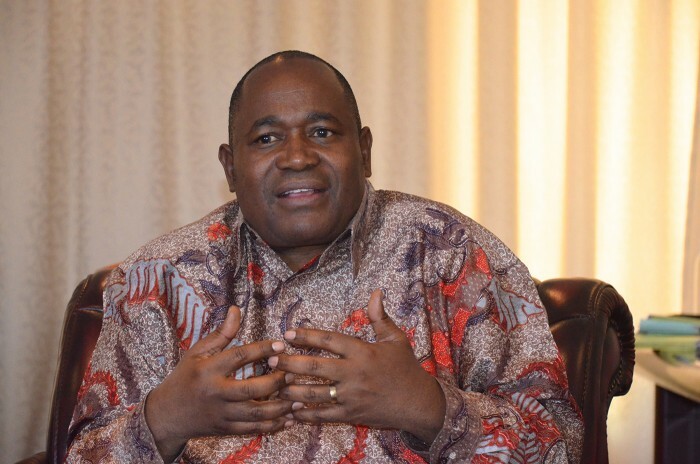 Special Economic Zones chairman Dr Gideon Gono told delegates to the London Investment Conference at the Royal Geographical Society in in the British capital recently that the draft would be out by April. Dr Gono appealed to British businesses to submit their contributions of the incentives that they would want to see in the draft. "We are on the verge of gazetting and legislating those incentives, but with this conference in mind, we felt it best to come over and seek your direct input into the incentives dialogue. "While Zimbabwe will never aspire to be all things to all men or better still more appropriate, all things to all investors we, however, realise the competitive nature of the investment climate out there," he said. "To this end, we would appreciate your input, suggestions and recommendations regarding what sort of incentives and regulations that you think we should consider putting in place for your own company or group of companies to come and invest in Zimbabwe, assuming we should meet your request. "As SEZ authorities in Zimbabwe, charged with creating economic enclaves of economic freedom and excellence in Zimbabwe, I come before you all, seeking your individual and collective input into the formulation of those fiscal and non-fiscal incentives and policies and procedures that will serve to attract you into our Special Economic Zones. "Together with the organisers of this conference we have arranged an online feedback mechanism to allow you to give us your suggestion as soon as possible, but before the end of this month as we want to have our final draft gazette mid-to-end of April 2018. "After that it is implementation all the way and we do not want this train to take off without you." Some of the incentives that were initially offered by Government were exemption from corporate income tax for the first five years of operation and 15 percent thereafter, Special Initial Allowance (SIA) on capital equipment at the rate of 50 percent of cost from year one and 25 percent in subsequent two years and duty free importation of capital equipment for SEZs. Other incentives were no import duty on inputs such as raw materials and intermediary products imported for use by companies operating in SEZ save for raw materials produced locally while employee tax was limited to a flat rate of 15 percent for specialist expatriate staff and exemptions on tax on royalties and dividends for non-residents. He urged the delegates to make the most of business and investment opportunities that have been presented by the new political dispensation. He said investors that were quick off the block stood to benefit the most from the opportunities while those that were waiting on the sidelines risked losing out.